British Retail Consortium certification on Guar Gum is used for ensuring food safety. It is used in food industry depending on the product preparation and requirements like the baking industry. 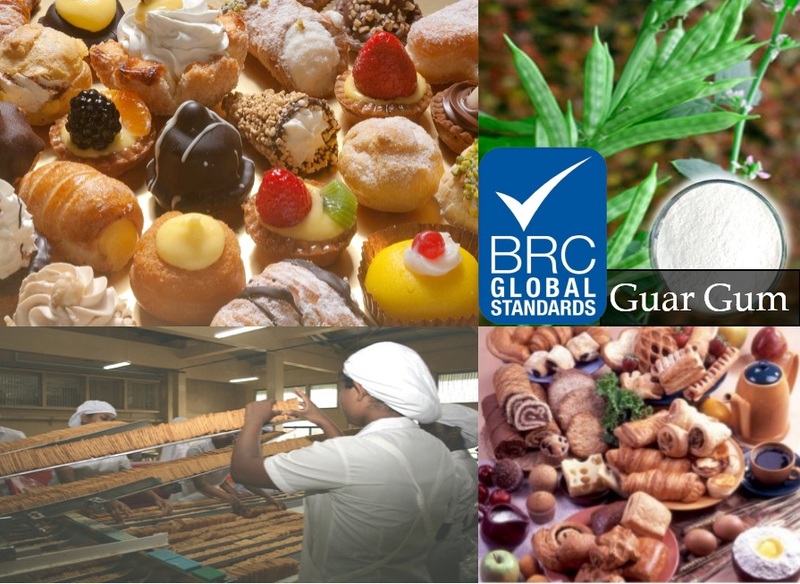 The BRC authorization on Guar Gum also recognizes the specified standard rules and regulation, which helps the food production firms in selection and preparation of baking items. This certification involves various features involving process, production and management, factory environment standards, manufacturing processes and assessment of present retailer supplies. The BRC certification on Guar Gum is also working on analysis and testing features. This helps in ensuring the right ingredients to be used in the baking industry to move forward and use guar gum as one of the main ingredients. The British Retail Consortium certificate on this product works as a recognized certificate for the baking industry, to ensure that they stick to the top grade food items. It works as a sign of purity and avoid any intervention of the fraud guar gum suppliers in your country. It is vital to check the BRC certified on this product, before using the same in baking sector. It works as a safety norm, and a must have in standard rules. Most of the baking industries are currently looking for BRC Certified Guar Gum items. It is a way of staying safe and healthy, and it helps to avoid mixing any preservative with the natural ingredient. This warranty is awarded as a proof of good quality. It works as the ultimate guarantee of Guar Gum, used in the baking arena. In case, you are planning for any business deal with guar gum suppliers; the baking zone must check out this BRC certification first. This kind of BRC warranty on Guar Gum is used by most of the suppliers of baking section, on a global basis. It works as a guaranteed rule on quality, safety, and operational criteria. It even helps the baking firm to know that the guar gum supplier is clear from any legal liabilities, whenever they have this BRC mark on their items. Moreover, this BRC warranty on this thickening agent must come with Grade A qualification, only after which, it can be used as a major ingredient of baking industry. Other than the certified mark on Guar gum for baking industry, such reliable suppliers offer BRC mark on guar gum and some of the same derivatives, used widely in bake sector. The BRC certificate on this thickening agent in baking industry helps in promoting best practices, followed by the manufacturing unit. It even helps in recognizing the production improvement of supplier, along with the standard and consistency level, which is indeed required in baking sector. It devoid any product failure and ensures that the guar gum used in making cakes and pastries, is of top-notch quality only. A BRC mark on the guar gum baking ingredient means that the program is free from multiple reviews of various manufacturers.